We would be most excited to be able to go and have all the amenities for my baby!! That is amazing! Bottle warmer, high chair, cribs! Amazing. I would be excited for everything! Sounds like a great time for my 3 year old and the amenities for baby make it appealing. I would be excited about the babysitters. 🙂 That is awesome when you go to a place like this! the food!!! and nice quiet nights!!! gives me time to unwind and sleep well!!! Yes please to a GREAT vacation!! Wow, this place looks so fun! I have 3 kids so this would be right up our alley!! I actually love this Review! I see this resort come up a lot! it looks like an absolute dream for the kids! I always have so many questions about it!!! Love this review! wish it wasnt a fortune! but maybe one day!!!! My youngest has never been on a trip! I would love to be able to take the kids and show them what fun is all about! All inclusive, babysitting services, the characters! We would have the best time! I would be the most excited about the Nickelodeon Pool, looks like big splash world! I would be most excited that it’s all inclusive! The babysitters sound awesome but not sure I would leave my little! Slime time. I don’t know that my daughter would be all for it, but I bet she would love nothing more than to push me under that green goo. The sunshine and the characters! My kids love characters! I am excited about all the gourmet food options as well as the sunshine! I’ll like the beach, even though we might not get in the water every day. I’ve heard that the Karisma resorts are amazing! This one looks like it would be so much fun! Come on, how can anything with Nickelodeon not be fun! And I bet the food is amazing! I’m excited just thinking about it! It would be the perfect getaway! Our grandchildren would love this resort. We are looking for a place to take them on vacation where there are kid themed things to do as well as something for us grandparents to do at night. I really love the babysitting service. Thanks for this awesome giveaway opportunity! I’m most excited about the pool…so great when it’s hot out! The all inclusive part is very appealing! I am most excited about spending time at the beach. The beach and the warm weather. I would be excited for the all inclusive aspect! I’d want to take my son to the Nickelodeon Pool. I would be excited for some quality beach time and relaxing. I am most excited about enjoying the beach and not having to cook for 3 days! I would be most interested in the warmth of the sun and beauty of the resort area. I love the activities for the kids and babysitting for the parents! I would be most excited just to be lying on the beach. I’d be excited about having some quality family time, the kids activities and the chance for my kids to practice their Spanish. I would be most excited about the beach and the feeling of being on a vacation! I love the beach, water, sand, everything – it is so relaxing! I would be most excited about being able to take my boyfriend on a trip to get away and relax in the warmth! Rest and relaxation of course! I am too much excited to visit the resort. Fun place for passing the vacation period. I don’t wanna late. I have to say I would be most excited taking my kids on such an epic adventure. I know it would be something they would remember forever! They are still waiting for their first out of province trip, first airplane ride, etc. Like is too short and unfortunately financially we do not have the means to travel. My kids essentially travel through other families videos on youtube. Thank you so much for the opportunity! We would most be excited to meet some of our favorite characters and swim! I would enjoy lying on the beach and touring the grounds. Would love the beach and pool time! I could use this getaway so bad. Would love to relax on the beach. First of all, what a thorough review. Thank you so much for providing the great with the not so great. Our whole family would love the pool! 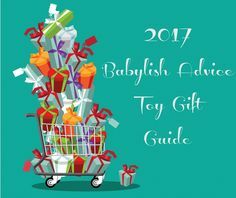 It’s great that they have everything I need for baby so I don’t have to bring things like a pack and play or stroller and I love the babysitting service so I can have some time alone with my hubby! the resort looks really fun for kids & adults alike!!! Great food, beach and sunshine!! I am excited about getting to a warmer climate. It would be nice to get away with family. I would be most excited about the beach. I would be most excited for all the fun stuff for kids to do! Would love to take my niece here; she would have a blast! I would be excited just to be able to go on a vacation to such a beautiful place! I look forward to seeing the sights and hearing the sounds of the waves on the beach. I would definitely be spending a lot of time at the beach! I would be most excited to be able to go to the Riviera Maya and eat amazing food at a gorgeous resort! The beach and pool would be the things that I would look most forward to! Plus that oversize lounger on the balcony is awesome! The Nickelodeon pool looks fun! I would be most excited for my family to go there. I would be most excited about the gorgeous beach. And the food. And the drinks. And really, all of it. I have a friend who just stayed here and she was CRAZY about it! Beach time for our daughter would be too if our list! Oh my gosh, it looks so beautiful! I would LOVE to go to Mexico. What a beautiful giveaway! What excites me the most about the resort is that it is so family friendly! I love the idea that it is quiet at an early hour and not full of drunk partiers… not that there is anything wrong with that in it’s place, but for a family vacay – this is PERFECT! The beach BBQ for sure. I don’t think I’d ever leave! I would be most excited to see the beach actually and my kids would be most excited to hear the TMNT characters when you step on that sewer grate. HOW FUN!!! Also I am great with early nights. I have kids and frankly that is important to me. I would be most excited to be at the beach with my baby! We just welcomed her into the world & we would love to go on a family vacation! To afford to take my kids on a vacation sit hsinwould really be AMAZING to win!! I have 3 kids ages 4,10,&14 and this would just be a dream come true for us!!! The beach is what I would be most excited for!! My children saw this resort on a youtube channel they watch, and keep asking if we can go. Their excitement would be the thing I’d look most forward to, as well as being able to go on vacation somewhere where the kids are constantly kept busy having fun! We’ve never been to the Riviera Maya! Did someone tequila lounge??! I am excited about the meet and greets with the characters! The babysitting is a great feature! What I would love most about visiting the Azul Beach Resort Rivera Maya by Karisma is EVERYTHING! From relaxing and spending time with my family at one of the pools, at the beach, snorkeling right off the resort or in one of the many restaurants! I know my girls would love meeting other kids from all over and having the time of their lives! I would say the water and the beach! We would really like the food and the water. I think having babysitters for parents to be able to reserve is an amazing idea. I would be the most excited to be in such a beautiful place, enjoying some much-needed rest and relaxation, with nothing in the world to worry about…. Everything sounds amazing! What I’d like the most is the attentive staff. Having people who actually try to make your stay memorable is everything! I love when everyone is committed to providing an experience and it’s not just another job to them. We’re heading there in a few weeks and this is the best informative review I’ve found so far. thank you so much for the great information!!! your tips will come in handy! Thanks for the compliment! Glad you enjoyed the post – you will love the resort. I would love to hear about it when you get back. Have fun!